If you you're coming to Las Vegas, there's a good chance it's to Visit the one of a kind Nightclubs, Pool Parties, or Las Vegas Gentlemen's Clubs. 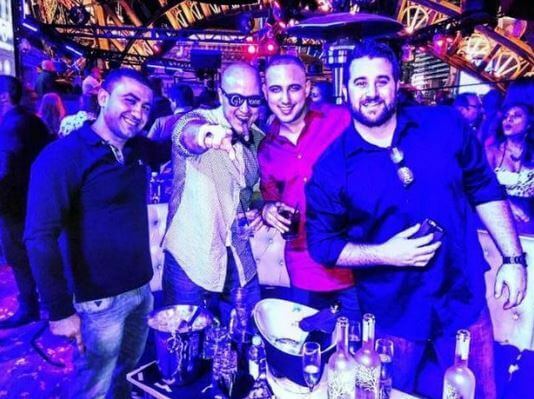 For whatever the reason, whether it be a bachelorette party, bachelor party, birthday party or simply to get away for the weekend, the best way is to definitely celebrate like a VIP, with Vegas Bottle Service. There's no other way to make an occasion at more of a VIP experience than getting bottle service at one of the Major Las Vegas Nightclubs, stripclubs or pool parties! Why should you get bottle Service in Las Vegas? It's pretty simple; you'll have a much better time. Las Vegas Nightclubs and Pool Parties in Vegas only allow patrons seating if they have VIP area reserved. More or less, you are paying for real estate in the nightclub or pool party. If you don't have bottle service, then there is nowhere for and your group to sit and of course you will be stuck waiting in line buying costly drinks ($20+ average per drink) from the bar. Getting a Las Vegas Party Package that includes bottle service is the best way to go. In the long run, if you are coming with a group of people you will have a better over all time, and save more money this way. There’s no waiting in a long general admission line or guestlist line to get in. You get expedited entry for you and your group, and you feel like real VIP's! What comes with Bottle Service? What can I expect? There is no better place than Las Vegas, to get bottle service! Hands down every Las Vegas entertainment Venue offers it for a reason; so you can have a better time and experience you'll never forget. You can request Las Vegas Bottle Service options below, and get detailed pricing quote custom for your groups size and date that you will be in Las Vegas. Looking for a more specific Las Vegas Party Package, or more detailed options for your Las Vegas bottle Service request? Check out these options below.